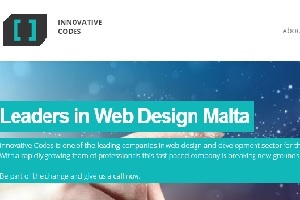 As a small architect firm here in Malta, we have very little time on our hands and we needed someone to design an internal system for us so that we could safely store files in the same place, edit documents, keep backups, and so on and we needed it quick! Piles and Piles of floor plan were taking over our offices and we needed this project in less than a month. It felt like a stroke of luck when we met Dylan from Innovative Codes, we didn’t know the company and at the time of writing I guess not many did either but it was incredible. This young designer & developer took the project and promised it would be delivered in 3 weeks, everything would be online on his servers and his team would create a nice interface for us to use. At the sound of this we took a leap of faith and signed Innovative Codes’ contract. The first week past and as promised we received the first phone call, the system was already available on a test web site that we could access and play around. We were genuinely impressed. What others estimated to take a couple of months, this young web designer managed to do it in a week. During the second week it was a lot of back and forth to test the system, add features, etc. It was getting very exciting! We felt as an integral part of this project and Innovative Codes made us feel as if we were the people designing it, which in fact we kind of were (everyone gave his/her small personal touch to their user profiles). This was great and in the third week it happened. The reason why I decided to write such a review. We were during our final testing and discovered we completely forgot to ask Dylan for a couple of key features in the design of this system. We were embarrassed but at the same time worried. As a small business we cannot afford a lot of expenses for such internal systems. The reaction of Innovative Codes was “Give us one more week and we’ll figure out the bill later”. We took the plunge and gave them the go ahead. They came back in 4 days with the most amazing web site I had ever seen, it controlled all our printers, it take care of storing our CCTV footage in off-shore backups and let me just say “the design was phenomenal, so intuitive, so clean” it made us feel as we were a fortune 500 company in that small garage office. You might think that this must cost a fortune, and in fact it wasn’t free however nobody can argue that for less than €1000 it was an incredible bargain for an internal website design & development, server setup, connectivity to most of our devices and I must add they also have pretty decent customer service from people how are just starting off. Take my advice and give these people a call even if you don’t have plans for your websites right now get in touch with them and discover what they can offer for your business you won’t be disappointed.